Looking to buy your first home can be overwhelming! With so many questions, purchasing a home can feel like an unrealistic goal. I know firsthand how overwhelming it can feel! When I was starting to study for my real estate license, I myself thought I would never own a home. I understand the uncertainty. What if the process of buying a home was not “scary”? This is why I found it to be important to start a blog about what are the steps to buying! I am excited to be working with the best Real Estate Company in Salina, Kansas – NextHome Pro Realty. At NextHome, we know how important resources are and we want to share those resources with you! Let’s start by having you ask yourself three questions. Is owning my own home a goal? 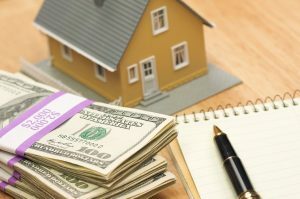 Are my finances were they need to be in order to buy a home? As we all know, one question can lead to many others. Maybe these questions do not seem so simple, but don’t worry, I am here to assist! Let’s take a closer look at these three questions. Do you see yourself owning your own home someday? Is that part of your American Dream? This can be reached by having realistic goals, receiving sound advice, careful planning and understanding the costs involving in purchasing your home. Are your finances where they need to be? I know, getting your finances in order sounds yucky! Yes, I know I said yucky, but knowing your financial status is a must! Have you checked your credit reports? I cannot stress enough how important your credit is when trying to finance a home. Finally, how much home can you afford? This is where an experienced housing counselor plays such an important role! Making sure your credit report is accurate and removing any out-of-date or inaccurate information can help increase your credit score and you qualify for a lower interest rate. Reaching out to a housing counselor is a great way to start your journey to homeownership. Below are some resources to start you off on the right foot! The Consumer Financial Protection Bureau is a government agency that focuses on giving consumers the information, steps, and tools that they need to make smart financial decisions. They have several resources available to help you with the homebuying process. Consumer Credit Counseling Service, Inc. – a non-profit HUD Approved Housing Counseling Agency. Federal Trade Commission – a federal agency offering brochures and handouts to help with the homebuying process.